An illustrated guide to British television from 1936 to the present day. Entries on over 1100 programmes are arranged chronologically and grouped in decades to provide a reference to our television heritage. Each section has an introduction and each entry is accompanied by a production still. This is an illustrated guide to British television from 1936 to the present day. Entries on over 1,100 programmes are arranged chronologically to provide a unique reference to our television heritage. 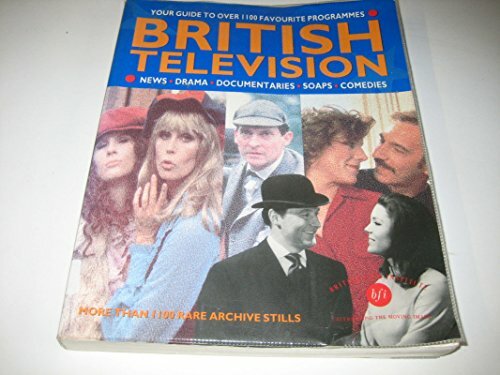 Presented decade by decade, the diversity of British television emerges, from "A for Andromeda" to "Z Cars" , "Steptoe and Son" to "Absolutely Fabulous", "Armchair Theatre" to "The Onedin Line" and "Andy Pandy" to "The Wombles". Each entry is accompanied by a production still, many of them previously unpublished and some the sole remaining visual record of the programme. Introductions to each section offer a fascinating overview of trends and developments, technical, creative, and institutional for the time period considered. The guide is introduced in a foreword by Michael Grade and a detailed index allows the reader to trace the careers of favourite performers, from Tony Hancock's appearance in Gogol's, "The Government Inspector", to Sean Connery's apprenticeship in 1950s' BBC drama. This detailed book should provide irresistible reading for all those who have ever been interested in television.